that was a beautiful blue skies and all lovely flowers....love it! 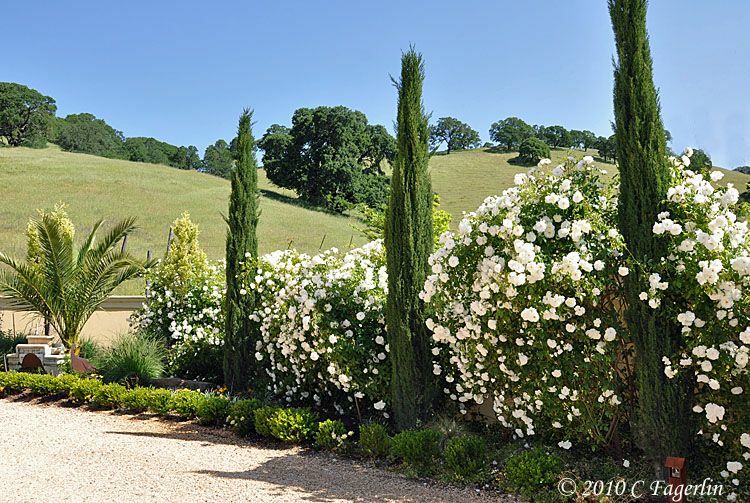 what a beautiful view of the blue sky and white flowers! Beautiful pictures. Those are lovely flowers with the bright blue sky as a background. 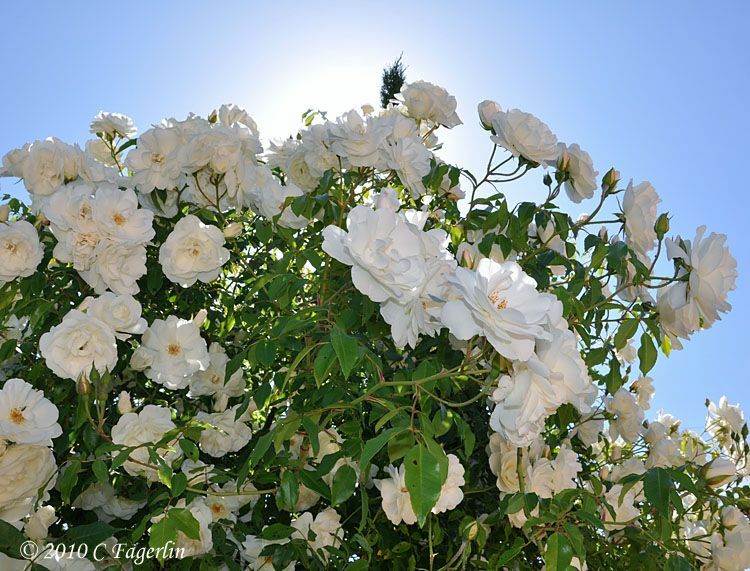 Gorgeous~ The blue sky is a perfect back drop to your immaculate roses. The sky is the reason we like blue so much . And your final shot is particularly lovely. 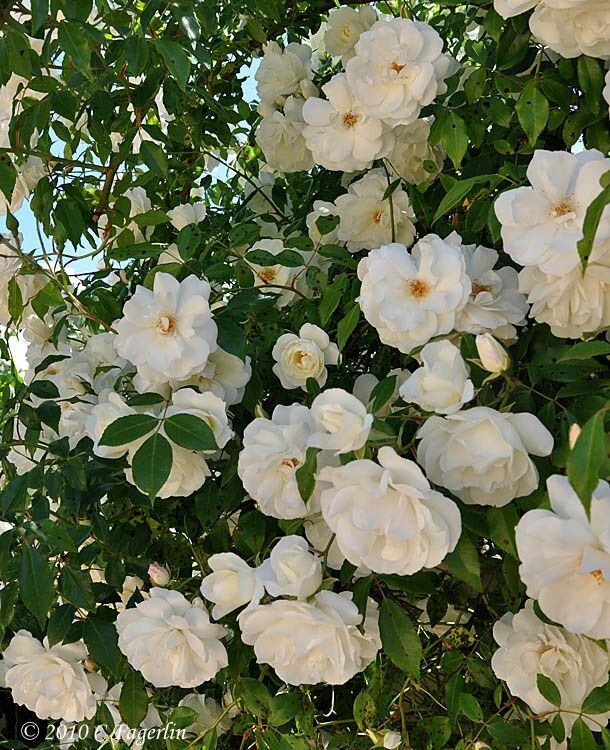 Such beautiful photos...and I love white roses!!!! They are so pretty shot for blue Monday....See you. 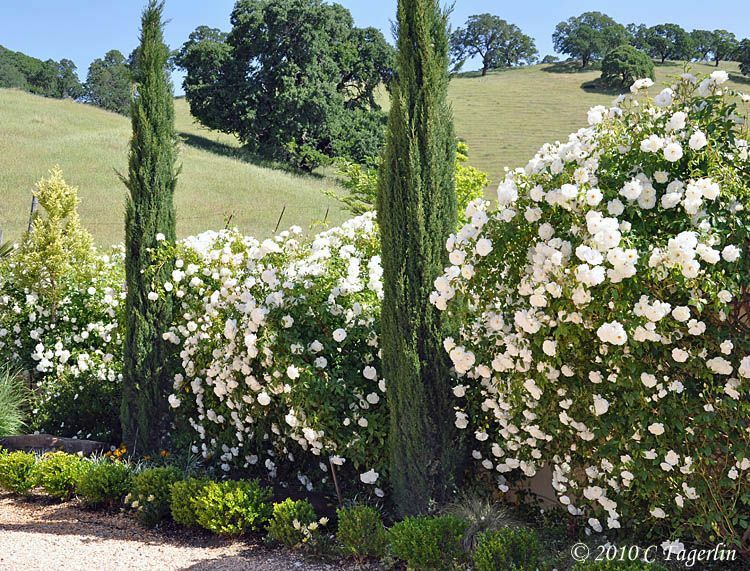 Wow, Candy, those bushes are chock full of blooms. I love the blue sky. Happy Blue Monday. wow what a beautiful scene! :) great shots! Beautiful photos! Love those clear, blue skies... and the flowers, too. Roses are the best and so are all you rose lovers who stopped by to check out the blue sky and roses! Thanks for all your wonderful comments, see you next week!